This is the best way to have fun at your event. 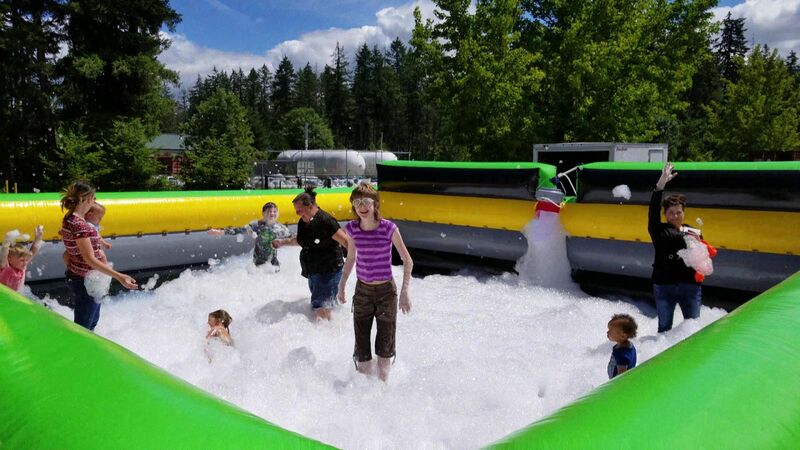 Treat all your guests to a treat and Rent the Foam Pit and Foam Machines. 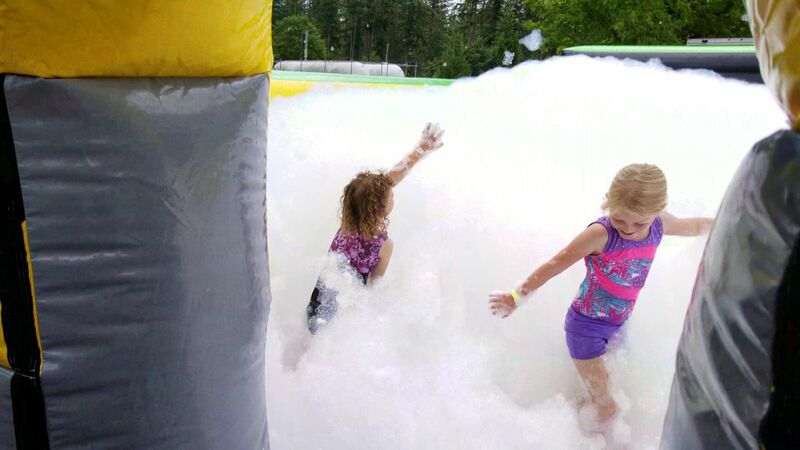 Your Kids and guests will have a blast when they jump into our foam. Great for all ages, kids and adults will love playing in our foam. This is a great way to take your event to the next level. Great for camps, schools, churches, college parties and company events. Mix an inflatable bounce house, concessions machines, music and foam bubbles together to create the perfect event and lasting memories. This is a must have experience for everyone!! Who would't have loads of fun playing in a mountain of FOAM! Great for all kinds of parties. 25' x 25' Caution Pit and 2 hours of foam. Great for every type of event or party indoors or outside. You and your guests will enjoy a refreshing, safe and unusual party activity. The solution used in our foam machines is 100% Naturally Organic, making it 100% safe for you, your guests and the planet. Our foam pits are used to contain the foam inside the inflatable party pit and can be used on grass or on hard surfaces. Use it at your next event and see how much fun everyone has playing in the foam. Foam party arena can be used on hard surfaces or grass. Professional-quality bubble solution is long lasting. Note: Requires (2) water spigots and Hoses near the setup area.